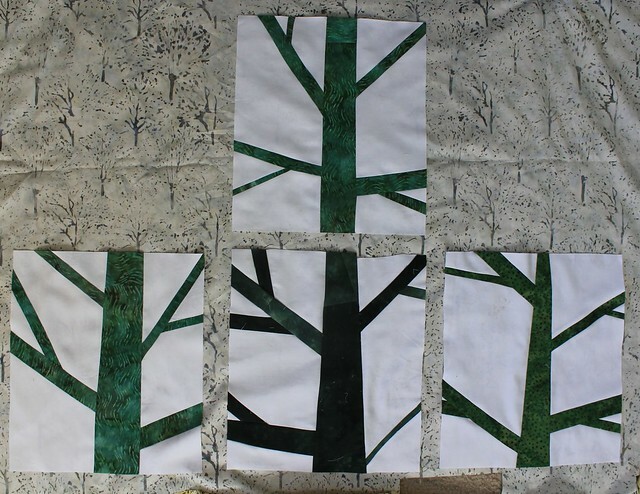 I have been playing around with making these tree quilt blocks, which I have seen in various places. 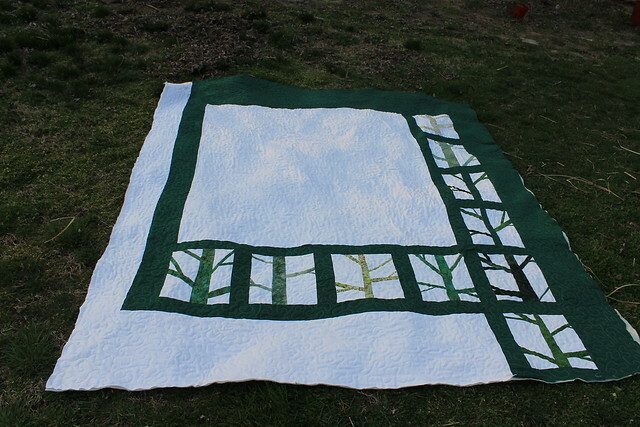 My original plan was to make a similar sort of tree block the size of an entire quilt, since I am into giant quilt blocks lately, and also because there are so many gorgeous large scale tree printed duvet covers floating around, inspiring me…but after making some smaller sample blocks, this tree block isn’t my full size tree block. Here is a very similar block kit for sale from Oakshott Cottons, btw, if you want to make your own! 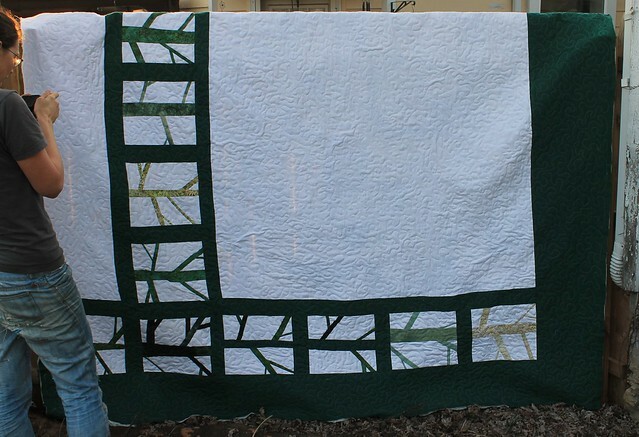 Mainly, because they are a little wintry – for a full size quilt, I think I want some leaves on my tree. And they don’t scale up nicely – these are 11×12.5 and I think much bigger doesn’t look right. 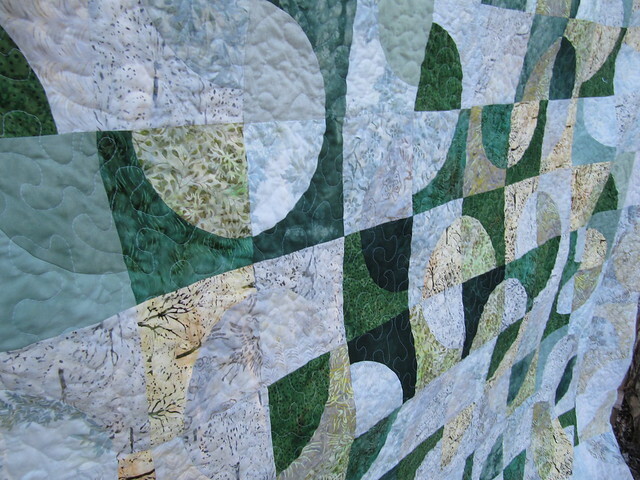 However, it is a fun improvisational piecing block and a great way to tear through some scraps. And I’ve made a nice little forest for the back of my green and gray batik quilt. And now to sew them together. This was a long process fraught with confusion, I kept second guessing myself, but suddenly it was done, and I love it! I still need to bind it, wash it, but couldn’t resist taking it outside in the beautiful weather! Ok, I will second guess this – I wish that the trees and green lines extended all the way to the edge on the bottom left corner. But, this part will be hanging off the edge of the bed, so it doesn’t really matter. 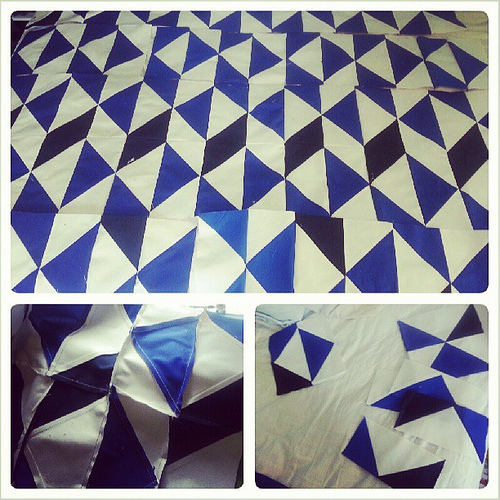 Loving making double-sided quilts. 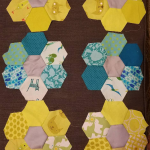 So much of the work of quilting (for me) is picking out colors, quilting, binding – which you only have to do once in a double sided quilt… It takes more trouble to make the second side, but much less than two quilts. And, I have been using the back side to experiment with new things. 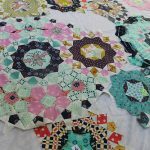 See more people quilt at Freshly Pieced! i LOVE this quilt. holy cow. And i really like the back as it is. For some reason it gives me the impression of looking out a window where your tree panels are stained glass panels around the window. I really love your trees! I would have never thought to make them that way. Wonderful idea! Just gorgeous. I love the front. I love the back. I am completely smitten with it. And I don’t really do batiks, so that just goes to show what a difference great design can make. Don’t second guess yourself anymore.! wow! 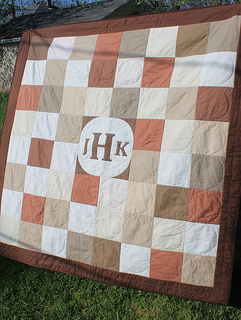 I especially love the wedding quilt. So so (sew – ha!) pretty! Holy cow! I can’t decide which side I like better – the front or the back! 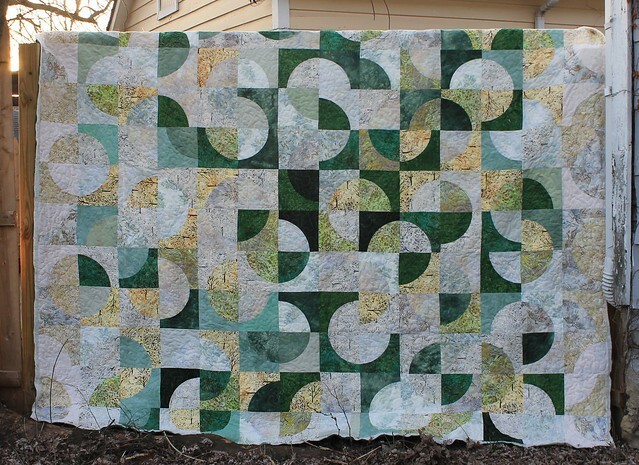 I really need to try curved piecing one of these days! Oh this is just beautiful! I love the trees. That’s a block I keep meaning to do but never get around to it. 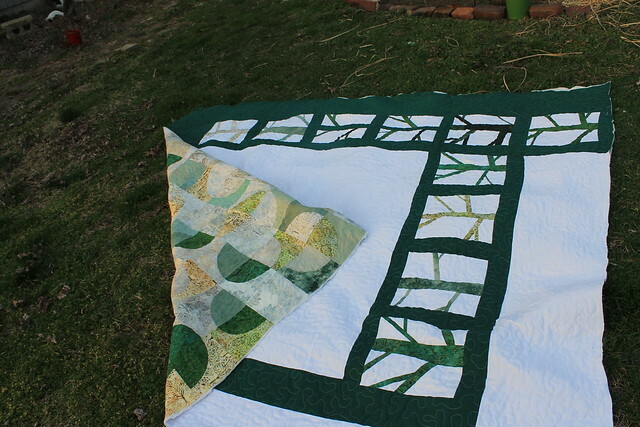 Wow, I LOVE LOVE LOVE your trees and this quilt. 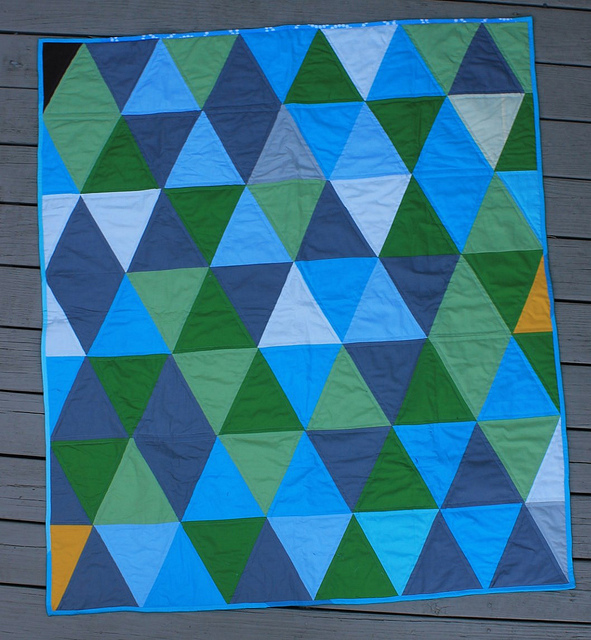 I like to make double sided quilts for the same reasons you mention. Your design gave me an idea of making a full-size tree using several different blocks to create a large tree. Can’t wait to try it! 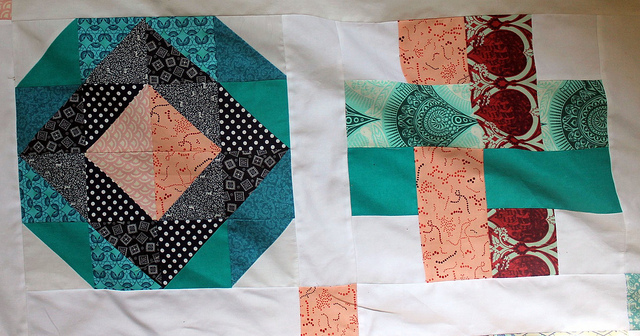 Your idea of double sided quilts is smart. 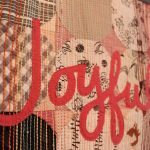 For me, everything is fun, except the machine quilting. 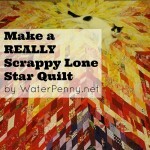 I like to hand quilt, but there’s just not enough time to handquilt all of the quilts I make. 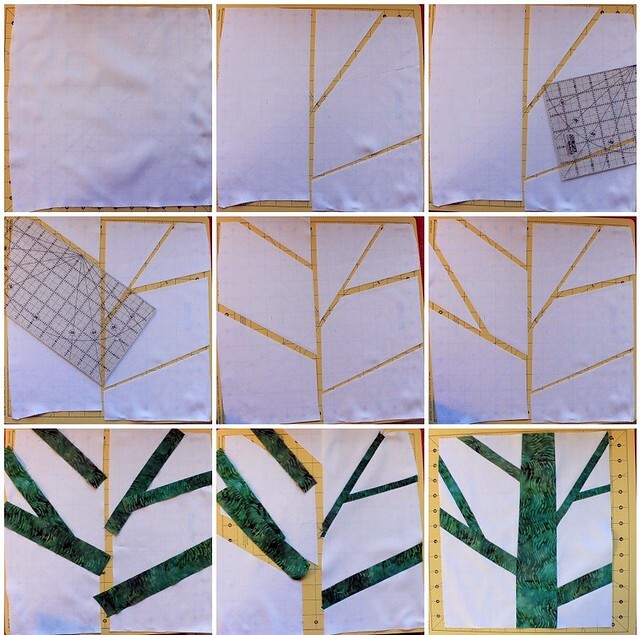 I just made a block using your tree technique–my upcoming Baker’s Dozen Exchange theme is “trees”–and this block was a lot easier and quicker to make than the first set of tree blocks I made. Oh, and it’s so much prettier too. Thanks!